Paving and Drainage :: BEFCO Engineering, Inc.
BEFCO Engineering, Inc. provides surveying and engineering services related to the design, maintenance and management of paving and draining systems. These services include the design/rehabilitation of streets, sidewalks, storm sewers, channels, culverts, and detention ponds. BEFCO also performs drainage studies and can assist clients with permitting and creating storm water pollution prevention plans. The following are just a few of the paving and draining improvement projects in which BEFCO has been involved. Reconstruction of Perkins Street was just one part of the City of Bastrop's Eskew, Higgins, and Jones, Redevelopment Project. The overall scope of the project was to update the water, sanitary sewer, storm, and paving infrastructure of an existing 50+ year old subdivision. The City of Bastrop's Pecan Street Improvement Project included the rehabilitation of the existing water, sanitary sewer, storm, and paving infrastructure along Pecan Street near the historical downtown area. 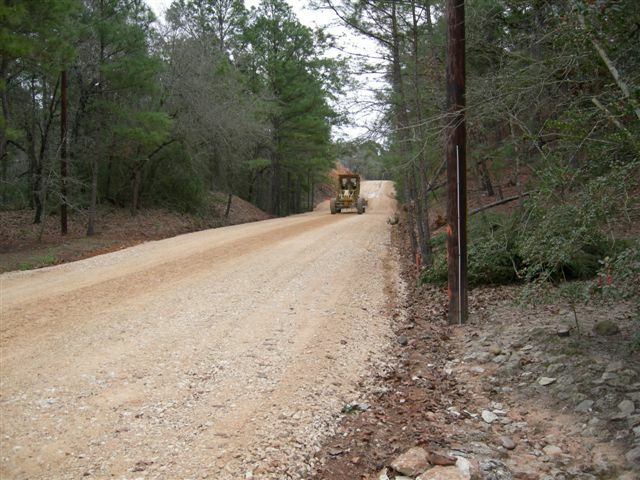 Figure 3: Reconstruction of Kainalu Drive in Bastrop County. Kainalu Drive was included in Bastrop County Water Control & Improvement District No. 2's 2008 Road Improvement Project. Figures 5 and 6 were taken during and after construction of the City of Bastrop's Bank Stabilization Project in 2006. 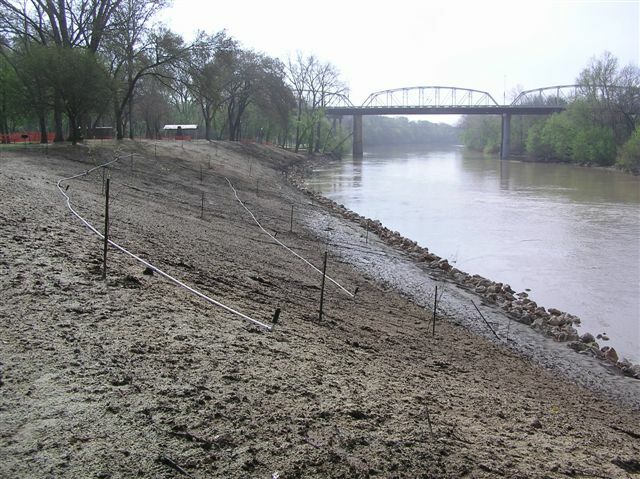 The goal of the project was to reduce erosion and stabilize the east bank of the Colorado River adjacent to Fisherman's Park. The La Grange ISD Irrigation Pond was constructed to catch storm water and act as a settling basin for water pumped from the nearby Colorado River. Due to soil conditions a synthetic liner was required to help retain water. The pump station is used to send water from the irrigation pond shown in Figures 8 & 9 to the school's nearby athletic fields. The storm sewer construction was part of the drainage system for the La Grange ISD Ballpark Complex.